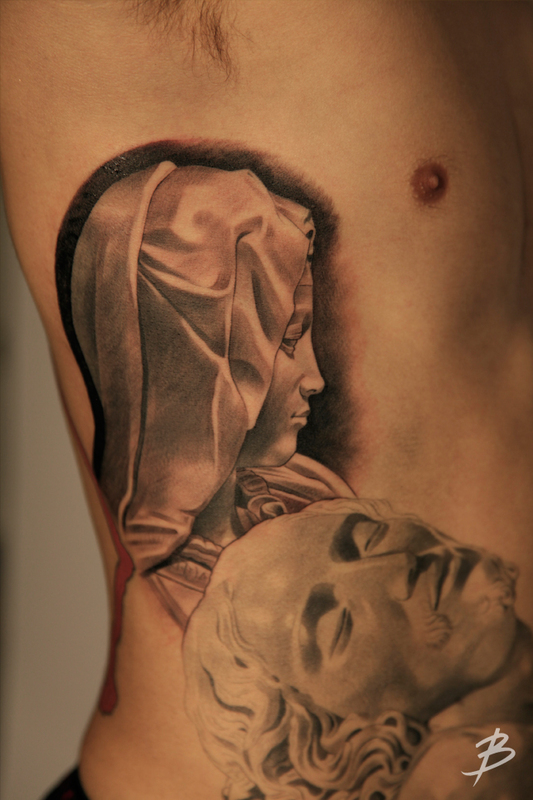 My bro AG was at the studio a couple of days ago, to keep working on his side piece. 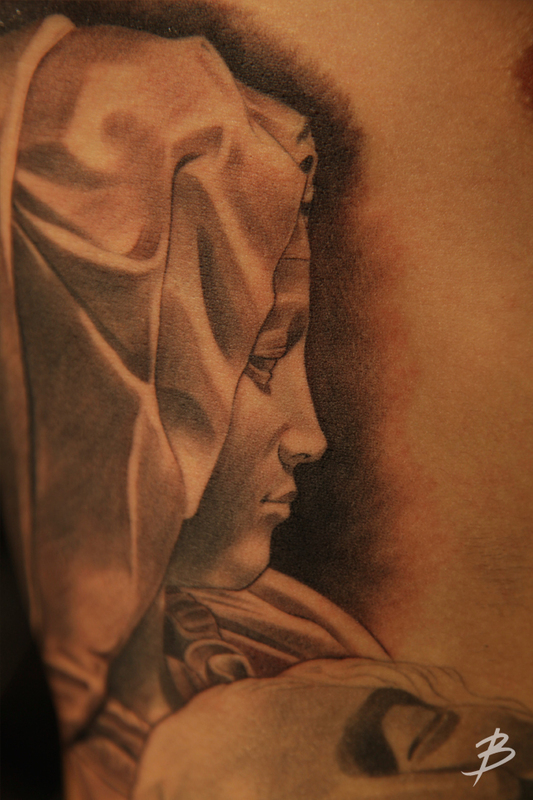 I did a second session on his Virgin Mary to finish it off. I still have a lot more to do on the Jesus and then I'm planning on adding a background to tighten everything up. AG will be back at the studio soon to get some more ink so stay posted to see some progress on his side. Aaron Ross from the New York Giants cruised by.